Wow. What can I say? It's difficult, saying goodbye to the past and moving boldly into the future. After more than two years of loyalty to Blogger and its free, simple platform, I've made the jump to the self-hosted twenty-first century. Now that I plan to turn this writing thing into a semi-professional, career-like thing, it is time to embrace the future of website design. A self-hosted Wordpress site allows me the freedom to build a clean, responsive site, with many more options and room for growth. I now have a website that I don't mind sending to potential article-buyers and tourist attractions I am hoping to review. My biggest thanks go out to the many readers who followed me here at Narc Ex HQ. I hope to see you over at Five Suitcases as I publish both my professional articles and my future personal blog content on a much better platform. 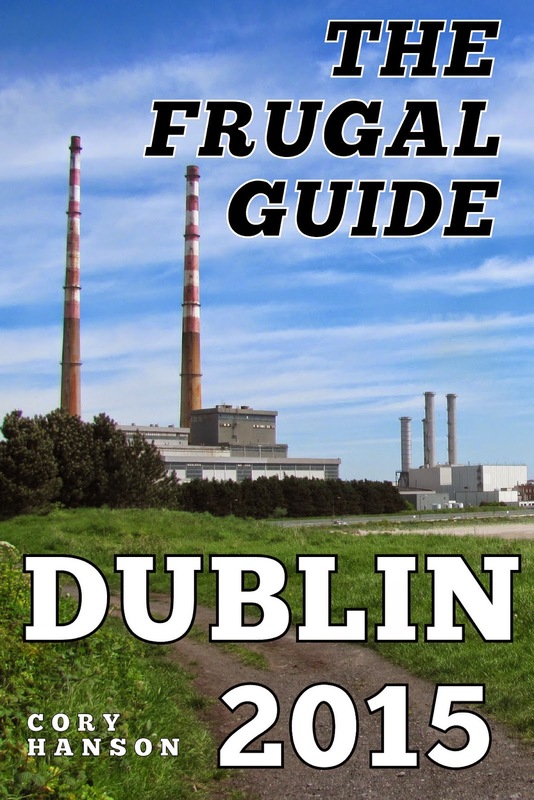 Those of you who commented, shared, responded, and helped me with the publication of The Frugal Guide: Dublin will never be forgotten. Archivists, never fear! The articles here on Blogger will always be available. Although they may someday migrate over to my new web presence – the least cringe-worthy ones, anyway – these posts are an important part of my personal history, and I will make sure they are always accessible in some form, even if most of them are only good for a laugh. Please join me on my next adventure, and let me know what you think of the new site! Just back from a memorable trip to Vienna and Lower Austria (see my series of live public travel journals over on Five Suitcases), my to-do list is longer than ever. After a visit to Dublin's brand-new Teeling Whiskey Distillery, I wrote a review but hadn't yet included it in The Frugal Guide: Dublin. I've since rectified that situation, and the review is in the most recent edition, if you care to check it out. Brainstorming and research continues for the 2016 edition, there are some new eBook features I'd like to include if I can figure out how to do them myself. I've recently been in contact with the expat community site Expat Focus. This blog was included in a top Irish expat blogs list, and I completed an interview about my experience for other expat hopefuls. I was grateful for the opportunity, and hope my interview proves to be entertaining, informative, or inspiring for someone. Also this week, I've been working to improve my social media presence, curating my Twitter and Facebook pages to become a more responsive member of both the travel writing and eBook publishing communities. If I'm to be pushing to publish this other book thing later this year, I'll need a bit more robust social presence. I am also looking at alternate website platforms – particularly Wordpress – to host a better Five Suitcases site. I plan to be experimenting with the options over the next month before I decide what to do with my other site. Moving the site might be labor-intensive, and the longer I wait, the more painful it will be. I'd like to have my web presence looking hale and healthy when I go into book-promoting mode. Learning this stuff will be good for me anyway, right? Speaking of the book, work continues, but slowly. 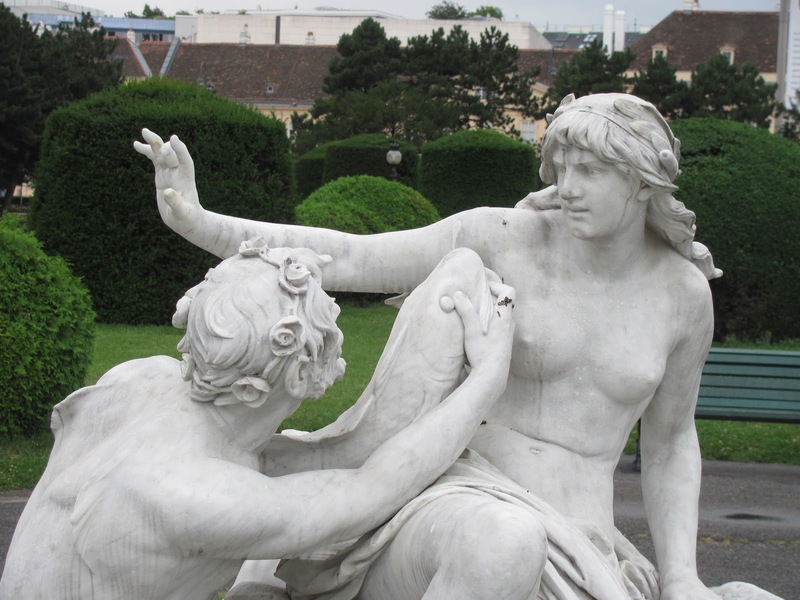 I've been reading, editing, cutting, and writing the last few tidbits – even doing some work in Vienna's sunny parks. I am feeling very good about its potential, especially when its comedy rhythm is sharpened a bit. With so many irons in the fire, my progress will be slower on each project, but things are moving along smoothly. Wherever you are, enjoy the rest of the summer, and stay in touch! This week (in real-time), I am in Vienna enjoying this wonderful city. In the name of embracing modern technologies, I've been participating in the social scene much more than usual on Twitter and Facebook, posting pictures and updates as often as I can. If you haven't already, please feel free to follow me on either or both of those platforms – particularly as I work on ramping up my Facebook output. I'm also writing a miniseries of live travel journals from Vienna over on Five Suitcases. These notes will one day be used to write more practical, Internet-friendly travel articles, but if you care to see what we are doing (and preview a few more photos) in real-time, please check out my Vienna Vignettes series over there. In the meantime, enjoy the Twitter timeline of every Vienna update I send from our comfortable AirBnB apartment in the heart of the city that has been inspiring great minds for centuries. I created this Twitter search of all my Austrian tweets for your viewing pleasure. Once there, why not give me a follow and never miss an update? Just home from a memorable ten-day visit to Oregon to see some family, we are unpacking, dealing with eight-hour jetlag, and generally getting our lives back in order. While unpacking, I admired all of the American treasures we brought home with us – things we can't find easily in Ireland. 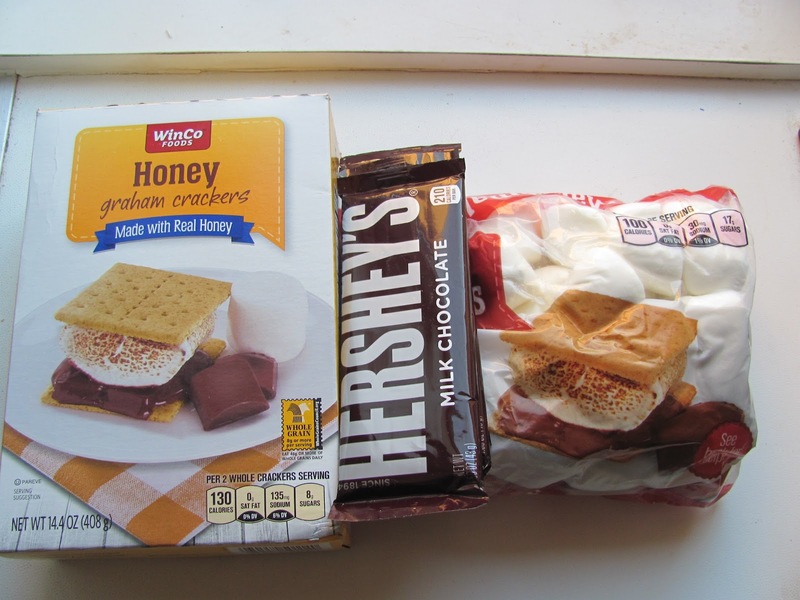 One of the most mysterious American treats is the s'more. We get asked about this famous s'nack more than any other, mostly because the ingredients are difficult or impossible to find in Europe. The traditional s'more is an outdoor campfire food. It has three perfectly-balanced ingredients, and while some hipsters try chic variations on the classic trinity, most American s'mores are simple. Graham crackers sandwich milk chocolate pieces (traditionally Hershey's) and a roasted marshmallow. When trying to explain a graham cracker to an Irish person, I'm often stumped. "They are...like...sweet, kinda buttery crackers that taste like...honey?" Needless to say, they aren't on most Irish supermarket shelves, despite having such a British name. Marshmallows can be found in Irish supermarkets, but they are often sold as candy rather than a baking ingredient. Marshmallow fluff might be in the baking aisle, but large, solid 'mallows will usually be in a package of mixed gummi candy. In a s'more, the marshmallow is traditionally roasted – to the eater's preference of browning or charring – over an open flame, but we'll probably be committing a slight breach of s'more etiquette by cooking the chocolate and marshmallows in the oven or microwave. As for Hershey's chocolate, well, let's just say that Cadbury-loving Brits and Irish don't much care for it. I can taste very little difference in the two basic chocolate bars, but Irish people who have tried Hershey's in the States seem to find it too bitter. In fact, when imports of British Cadbury's chocolate were banned in America, there was a run on import candy shops as desperate expats rushed to stock up on the last supply of their favorite sweet. Nothing new here. 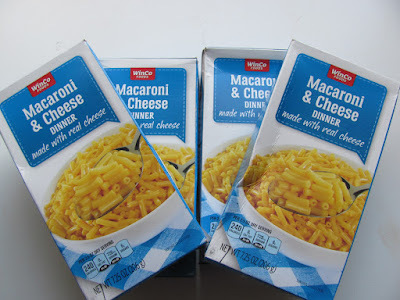 Boxes of instant macaroni and cheese are a staple for us when we visit our home country. Suspiciously quick-cooking noodles complement a sauce made of nuclear yellow cheez powder, butter, and milk in this classic American home convenience food. For best effect, serve with hot dogs. It might be due to heavier drug regulations, or it might be due to a general lack of big box chain stores, but whatever the reason, over-the-counter medicines are much more expensive in Ireland than in the States. Large bottles of basic household medicine cabinet drugs like antacids, pain relievers, and antihistamines are difficult to find and very expensive when available. Savvy Irish travelers to the States usually stock up on ibuprofen for themselves and their family while abroad, "smuggling" in the pills upon their return. They (and we) buy the big, cheap, store brand bottles. We also stock up on contact lens solution in America, as it is dizzyingly expensive and not even available at all pharmacies in Ireland. 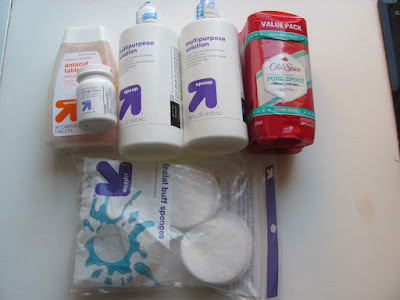 When we first needed solution back in 2013, I had to ask around a thee different pharmacies before someone pulled a small, dusty old bottle off the shelf with an eleven-euro price tag. "Is dis what yeh want?" Since then, we've made it a point to buy it on our return visits – at two dollars per bottle. Be on the lookout for more about our trip to Oregon, and let me know what treasures you bring back from your home country! Birds. Our garden neighbors, our pesky pigeons, and our favorite singers. Most people – including me – don't usually take much notice of most of our everyday birds. Sparrows buzz by as nondescript chirruping and singing gives us an unspecific audible backdrop to a summer's day. A recent push by Dublin City Council and Birdwatch Ireland is trying to change the casual way most Dubliners see their feathered friends, especially those in and around our urban waterways. They are collecting citizen observation data on four waterbird species in particular. The most famous (and easily-recognized) is the kingfisher. Its bright colors are clearly visible as it buzzes by just above the surface of the water. I noticed these birds on some of my first fishing trips on the River Dodder, and recognized their similarity to the North American belted kingfisher. Dippers have an interesting – and maybe unique – hunting behavior: they walk along the bottom of fast-moving streams to collect food from submerged rocks. I've seen these little guys along the river, but have yet to see their aquatic tricks. The grey wagtails are recognizable by their banana yellow bellies and very long tails, which they "wag" back-and-forth and up-and-down as they perch on riverside rocks looking for insects. The swallow-like sand martin makes its nests in burrows dug into riverbanks throughout Ireland, though it isn't a year-round resident. If you see one of these birds in a Dublin river or waterway, Birdwatch Ireland kindly asks that you report it on the survey, which can be found here under the title, "Dublin City Waterways Bird Survey." You will be asked to record the species, date, and specific location of the sighting – you may have to use the provided tool to find the exact map grid reference for your sighting – and any breeding behaviors like nest-building or chick-rearing observed. Filling the form is easy and only takes a minute. The data will be used to help the council work to better preserve our local biodiversity and our sensitive native species. I'll be out on the rivers this summer looking for fish, but now I'll have four new local species to watch for. See you on the water! The blog has officially moved to fivesuitcases.com. All new blog and travel article content will be published there exclusively. Visit Cory over on the new site and let him know what you think! Copyright © The Narcissistic Expat Diaries: From Iowa to Ireland by Cory and Sara Hanson 2013-2015. Simple theme. Powered by Blogger.